Prestel has launched a new short series on the history of architecture focusing on a range of architecture styles. So far published are Romanesque Architecture, Renaissance Architecture, Gothic Architecture as well as Contemporary Architecture. The aim of the series is to introduce architecture and specifically architecture styles throughout the ages. Each volume is dedicated to a specific topic and discusses it in detail making great use of carefully selected photographs, drawings and sketches to illustrate and extend on the accessibly written text. Image taken from skycrapercity / Torre Velasca, Milan, Italy. built between 1956-58, hight 106 meters. Features in the booklet on The Story of Contemporary Architecture. The text is key here and especially because each booklet is a short introduction, with about 140 odd pages, room is limited for flowering descriptions. The authors have managed to bring out the important points, anchoring each of them in the wider context. Of course the series is not presenting any new material and history has been discusse before, but the nicely styles and well written booklets are a good way of getting into or even refresh on the different strands of architecture over the past, leading up to contemporary architectural discussion. 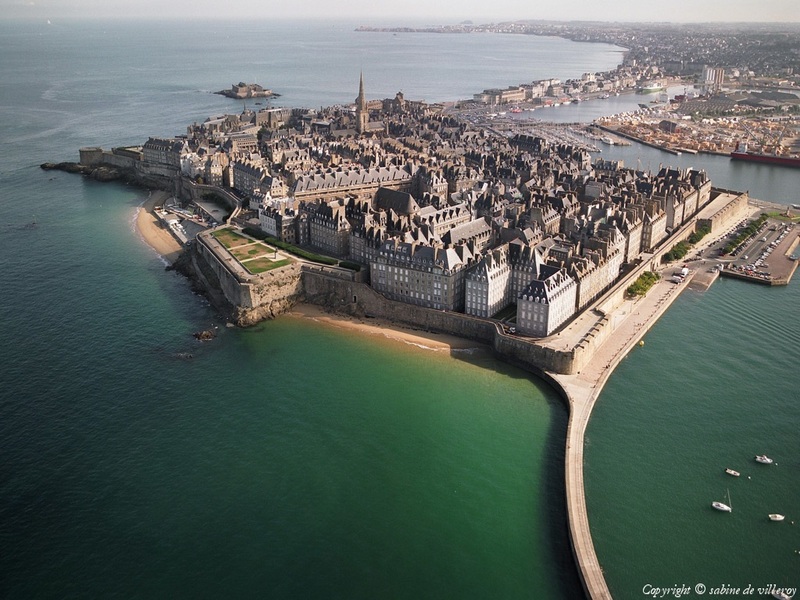 Image taken from skycrapercity / City of Saint-Malo built 12th-18th century in France. Features in the booklet on The Story of Gothic Architecture. The series is mentioning aspects of technology, material and concepts as far at it is relevant to the development of the movement and the style. This also includes references to cultural movements and developments. Overall it provides a quite comprehensive picture. Each booklet is structured with an introduction, providing the wider context and the lead in. this is followed by a discussion of the main characteristics of the style at hand. The third part is a presentation of examples featuring very prominent ambassador buildings representing each style. Image taken from boomerangbooks / Architecture history series books covers. Favole, P., 2011. The Story of Contemporary Architecture, London: Prestel. Prina, F., 2011a. The Story of Gothic Architecture, London: Prestel. Prina, F., 2011b. The Story of Romanesque Architecture, London: Prestel. Servida, S., 2011. The Story of Renaissance Architecture, London: Prestel. Zanlungo, C., 2011. The Story of Baroque Architecture, London: Prestel.